Madan Krishna Shrestha is a Nepalese television actor and comedian. He is one of the most respected comedians in the Nepalese entertainment industry. He is well known for his method acting. He is well known for his method acting. He is one of the comedy duo, "MaHa Jodi", the other one being Hari Bansha Acharya. He also performs on stage most of the time with his partner, Hari Bansha Acharya. Madan Krishna Shrestha is a Nepalese television actor and comedian. He is one of the most respected comedians in the Nepalese entertainment industry. He is well known for his method acting. He is well known for his method acting. He is one of the comedy duo, "MaHa Jodi", the other one being Hari Bansha Acharya. He also performs on stage most of the time with his partner, Hari Bansha Acharya. 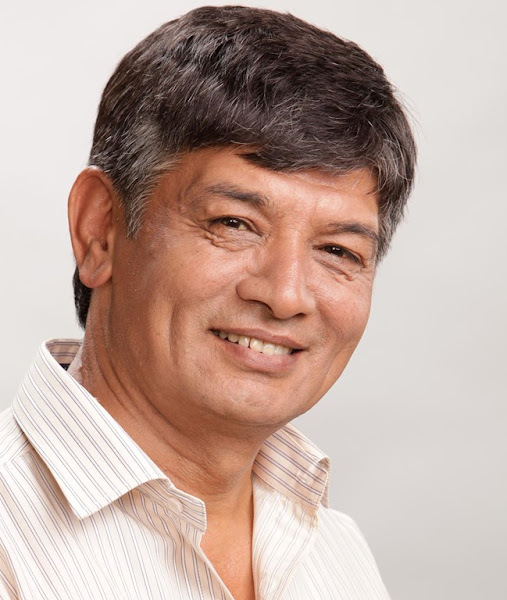 Madan Krishna Shrestha was born on April 19, 1950. His mother, Laxmi Devi Shrestha, died during his childhood and was the reason for his seriousness. He and his wife live in Dhobidhara, Kathmandu, Nepal, and he has a son and a daughter both of whom reside in the United States. He received his primary education from the Montessori school, J.P. school and Padmadev School. He passed SLC (a final examination in secondary level of Nepal) from Shanti Nikunja School and then he did his I.Com. at Mahendra Ratna Public College and attempted a B.A. at a private institute. Since he was very much involved in the field of art, he could not make it through his graduation.